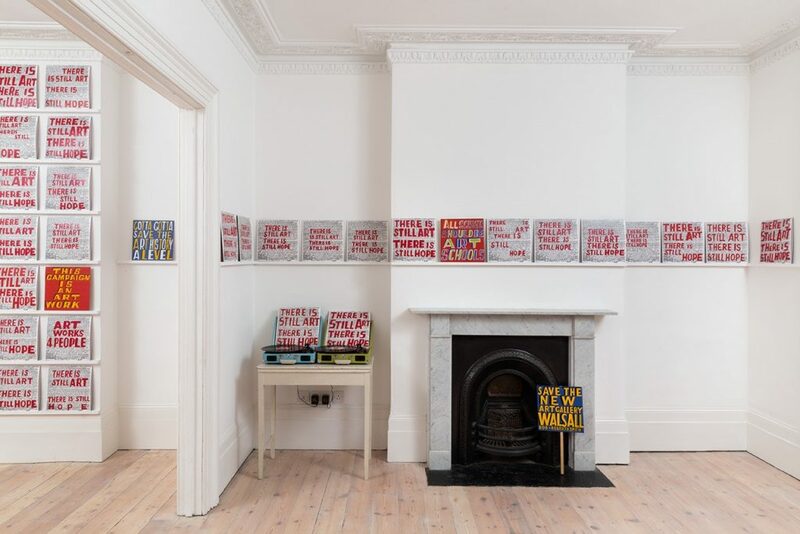 Handel Street Projects is pleased to announce a three day event, Save Our Galleries by British artist Bob and Roberta Smith. 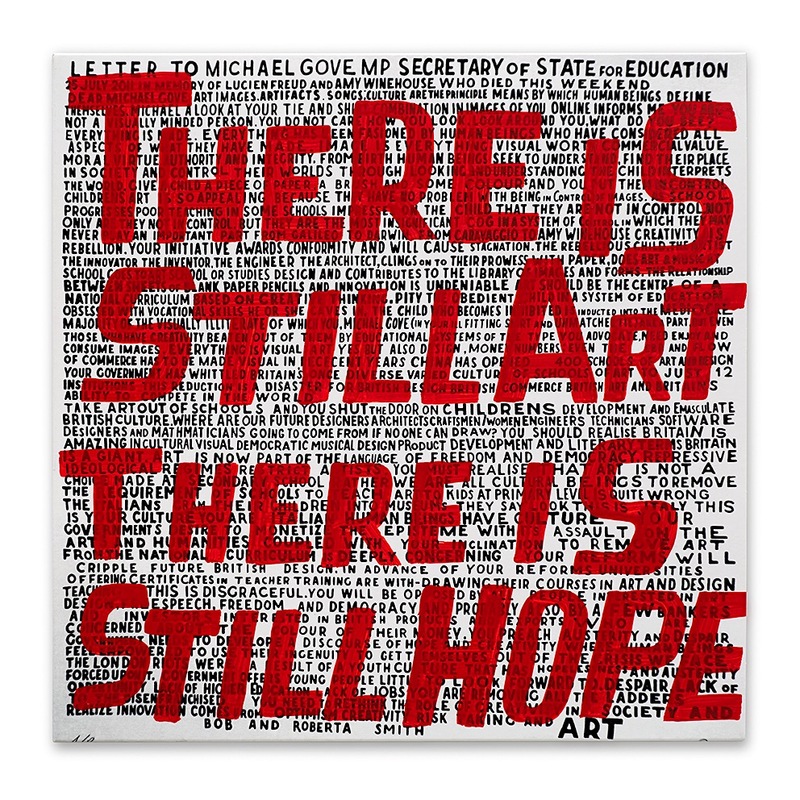 Smith has decorated 100 covers of their Apathy Band LP, Letter to Michael Gove with the slogan: There Is Still Art There Is Still Hope, in bright red paint. ‘The effort is to push back against the latest consequence of Government cuts to the arts and to point out that ninety percent of British Galleries would fold if their local authority funding was removed. Central Government grants to local authorities have been cut. The latest focus of The Art Party is to stop a knee jerk passing of these cuts to the cultural sector. Bob and Roberta Smith aim to tour the country in 2017, with his group The Apathy Band, creating a series of Art Parties up and down the UK. 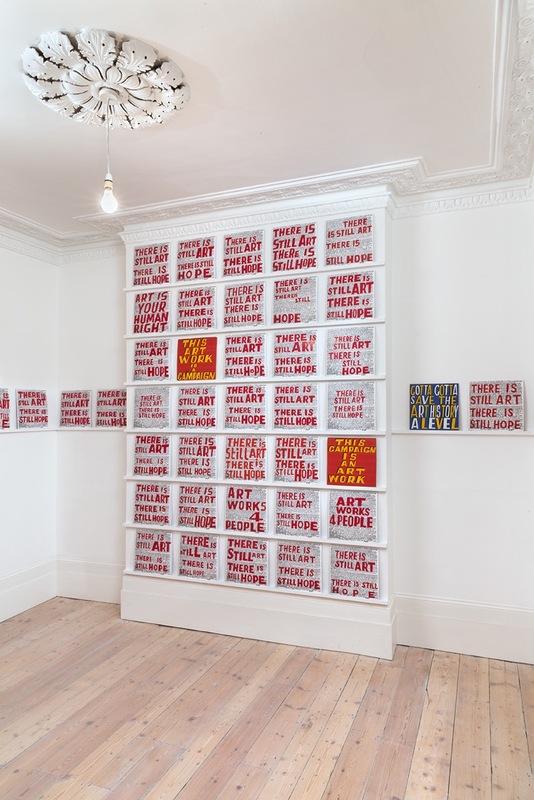 The sale of 100 unique copies of The Apathy Band LP will help fund the tour and follows on from the successful sale of prints of Letter to Michael Gove, which helped Bob and Roberta Smith stand against Gove in the 2015 election. Bob and Roberta Smith are concerned that our galleries and museums face a very real threat from a lack of ‘political love’. The Save Our Galleries tour will be an opportunity for supporters of galleries and museums to voice their concerns and develop a new strategy for the funding of our museums and galleries that preserves our great collections and create opportunities for artists for future generations. 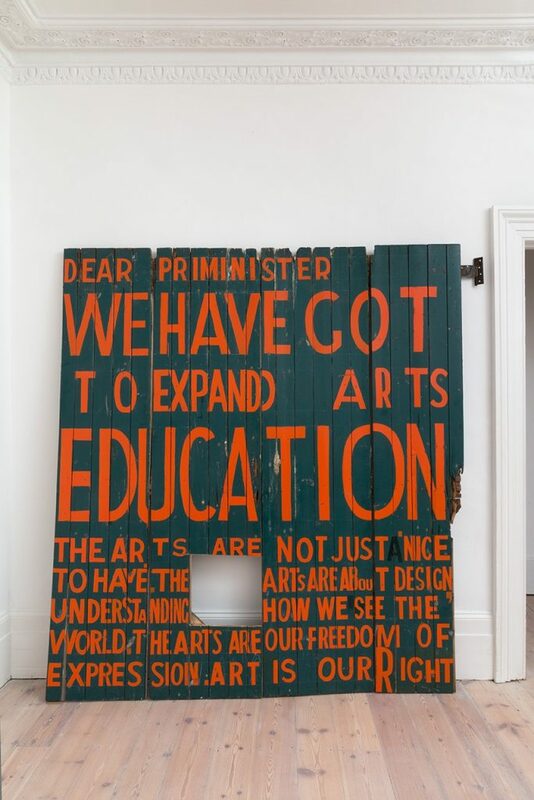 Bob and Roberta Smith fear that one by one our regional galleries will close unless artists are at the centre of debate about their importance. 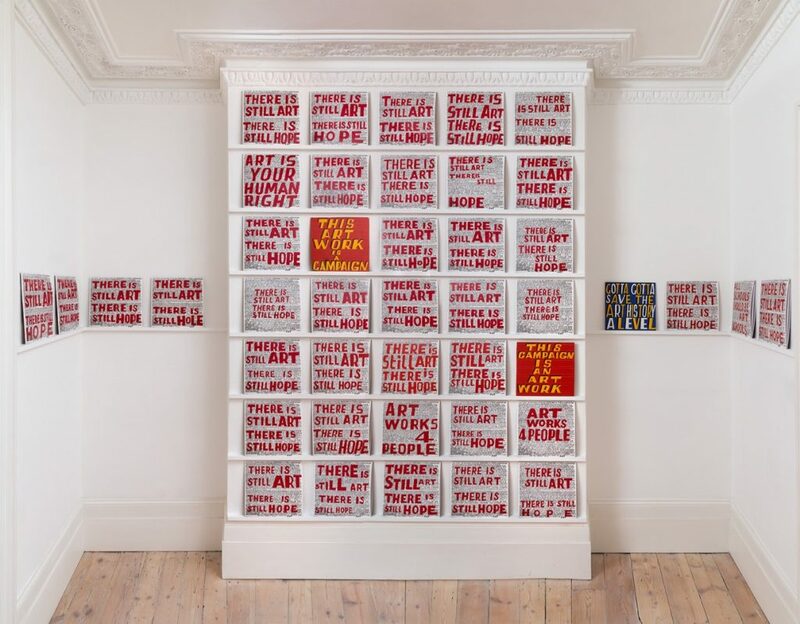 The Apathy Band was formed in 2005 by Bob and Roberta Smith and artist Leonardo Ulian. The band now features bass player George Lionel Barker, saxsofonist George Cleghorn, Jessica Voorsanger as announcer and Calvin Tsai on guitar. The 2016 vinyl release, Letter to Michael Gove, features music by the band. As Bob said to Billy Bragg recently on his BBC4 film, ‘Bob and Roberta’s excellent protest adventure’: ‘the lyrics are on the A side, the music is on the B side’. Billy Bragg replied: ‘Stick to F****** painting mate’.